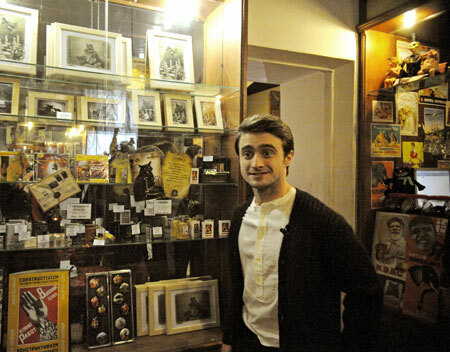 Bulgakov Museum - Moscow - February 16, 2012. . Wallpaper and background images in the Daniel Radcliff club. This Daniel Radcliff photo contains kiosque à journaux. There might also be magasin de tabac, bureau de tabac, de tabac, tabac, marchand de tabac, bistro, and bodega.